The base of your make up, the beginnings of your application to your routine but the question is, what product comes first? There is no right or wrong way to apply anything, surely there are the standard rules but you don't have to use every product for creating a great look. But if you are seeking a base that will last all day but is affordable and easy to follow then I think this post may help. To start with make sure your face is clean and moisturised, I understand some products can clog pores and not help skin but if you take care of your skin, cleanse, tone and moisturise then it isn't always so bad. 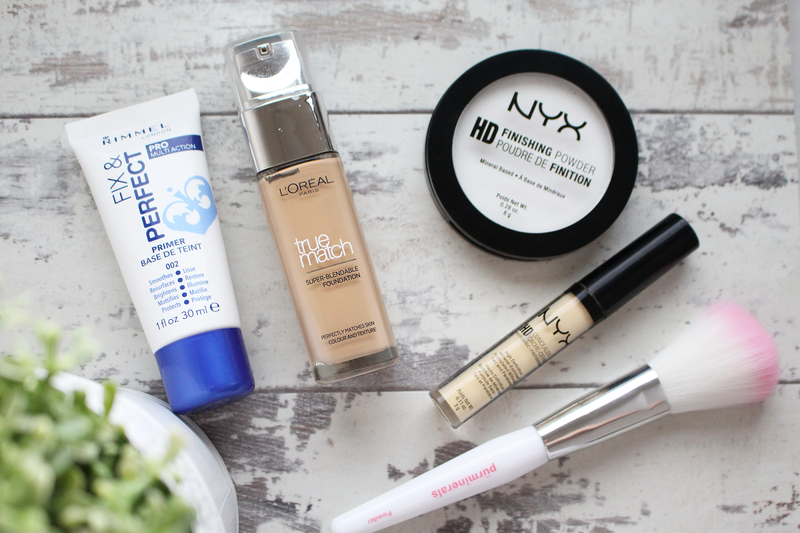 I apply a primer which is Rimmel London Fix & Perfect which has so many great reviews. I only apply a small pea sized amount to my fingers and concentrate this product by gently rubbing in circular motions to my forehead, nose, chin and cheeks. The primer is simply what it means, it allows the foundation to sit on this layer without sliding around or being soaked in by the bare skin. Second of all is the foundation, some people apply concealer first but I use the concealer to lighten my under eye to cancel out any darkness. How you apply the foundation is completely optional but my favourite tool to use is a damp beauty blender, and make sure that the foundation shade matches your neck, if not it requires more blending and perhaps some orange looks collars. L'oreal True Match is great foundation to try as it has a wide variety of shades and it lasts on the skin for a long time. As for the concealer, this step is so crucial to me. I don't have terrible under eye circles but I do want to cancel them out and lift the area making my eyes appear more awake. I am loving NYX HD Concealer in yellow. My skin does have yellow undertones and this concealer is perfect for that. I apply a downwards triangle under each eye and blend in with my beauty blender. Finally is powder. I never opt for anything that has colour, always translucent for me as I don't want change the shade of the foundation and concealer as it goes against my intentions. I am using NYX HD finishing powder which is my new favourite. I have religiously used Rimmel London's but this has stolen my heart recently and it such a great setting powder for under the eye. So that is the 4 product base which is simple, affordable and so easy. Have you tried any of these products? What are your steps for your base? I really want to try the NYX Finishing Powder. It sounds like a great budget-friendly option! 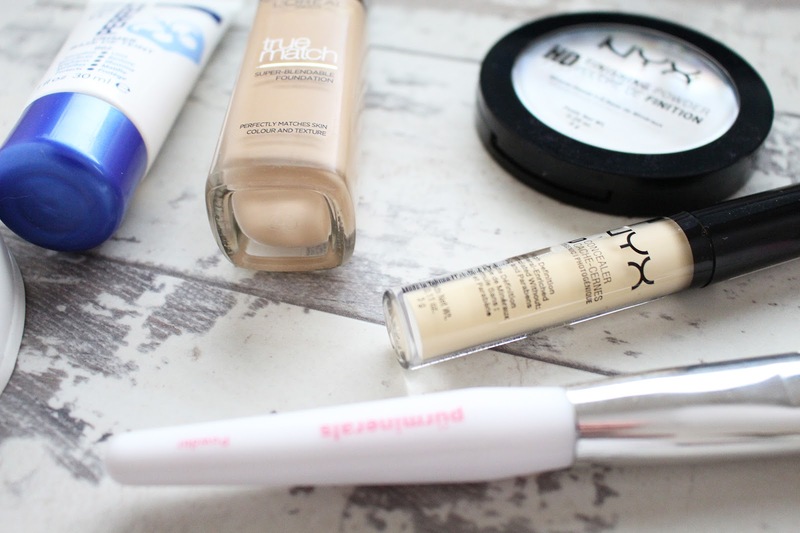 I need to try out that NYX finishing powder, I've been hearing so many great things about it. Considering my current setting powder is almost done, I think it's time it give it a go.